The number of homes that sold for $5 million or more in California reached record highs in 2012, the Santa Cruz Sentinel reported Wednesday. Nearly 700 homes sold for more than $5 million in 2012, up from the previous record of 491 in 2011, according to the Sentinel. 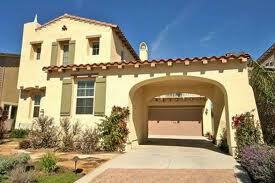 The Golden State also hit sales records last year of about $4-5 million and about $3-4 million. 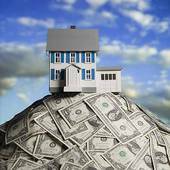 Additionally, California saw a record number of residential real estate buyers pay with cash. Overall, 26,993 homes sold for more than $1 million in 2012, the highest total since 2007 and a 26.9 percent increase from 2011. That gain easily outpaced the overall sales increase, which was still impressive: 8.2 percent growth with 447,573 homes sold. Buyers and sellers in what’s called the prestige market typically respond to different incentives and motivations than the rest of the market, where issues like down payment sizes, mortgage loan interest rates and job security don’t play the same role. What prestige market home buyers tend to respond to a financial environment with low interest rates and safe-haven investing opportunities. In the San Francisco Bay area, the Sentinel reported, a number of communities recorded little to no real estate transactions for less than $1 million, singling out the cities of Atherton, Hillsborough and Los Altos. Hillsborough’s ZIP code had the largest number of homes sold in California for more than $1 million last year with 422. Menlo Park — home of Facebook, which set records with its 2012 initial public offering — had the third-most $1 million-plus sales, at 370. And to top off all of this real estate super spending in California, the state recorded its priciest home purchase last year when home in the San Mateo County city of Woodside changed hands for $117.5 million. This mega deal leapfrogged with ease over the old record of $100 million, set by Russian investor Yuri Milner with the purchase of his Los Altos Hills mansion.